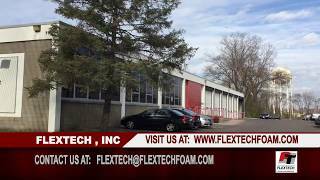 Compression Molded Foam | Medical Foam Molding | Flextech, Inc. 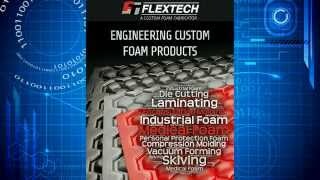 Compression molding is a process Flextech utilizes for the manufacturing of three-dimensional molded foam and foam composite parts. 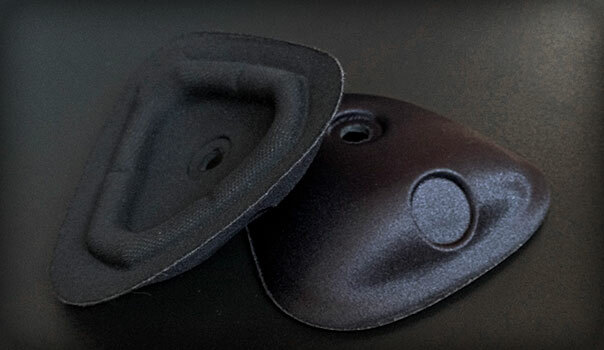 It is an ideal process for making parts that have intricate features, require very defined part geometry, have varying wall thicknesses or need to be held to critical dimensional tolerances. 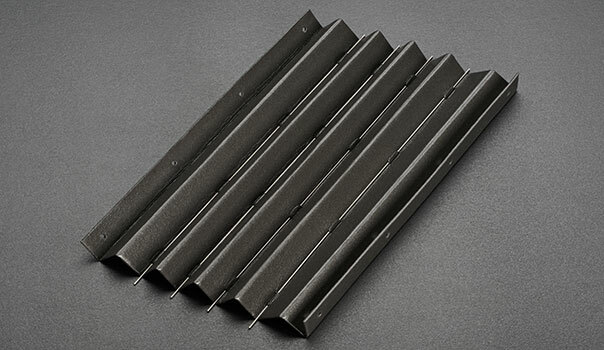 The foam or foam composite is heated in an industrial convection oven and then placed in a machined, matched tool which is mounted in a molding press. 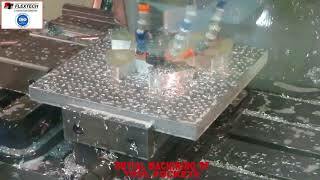 The mold is then closed using hydraulic pressure. 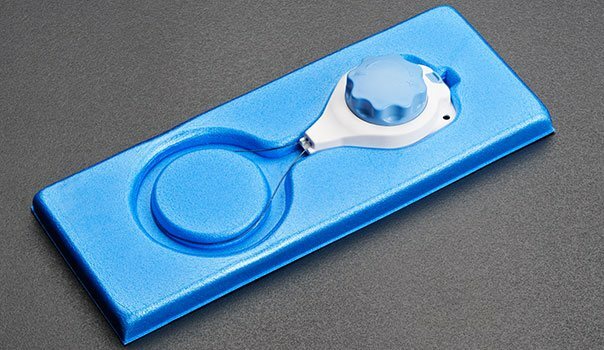 This pressure forces the heated and now pliable material into contact with all of the mold surfaces while the pressure is maintained. 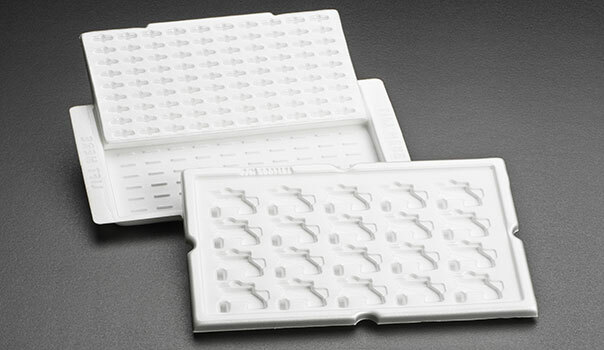 Once the material has cooled, the mold is opened and the finished part is removed from the tool. 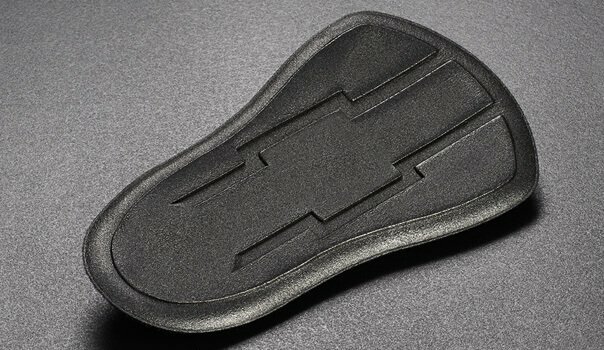 On most parts, we are also able to cut the perimeter and any internal features of the part during the molding process . 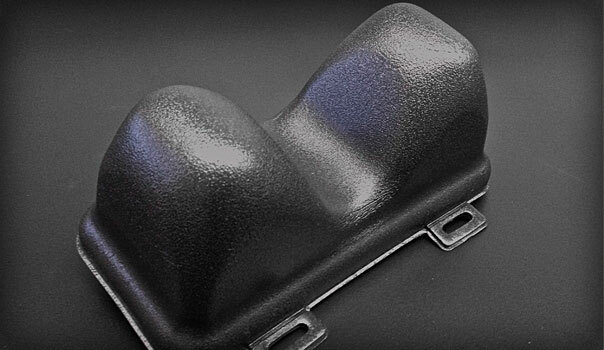 Cutting features in tandem with the molding process results in a finished part and allows us to avoid the expense of a secondary cutting operation. 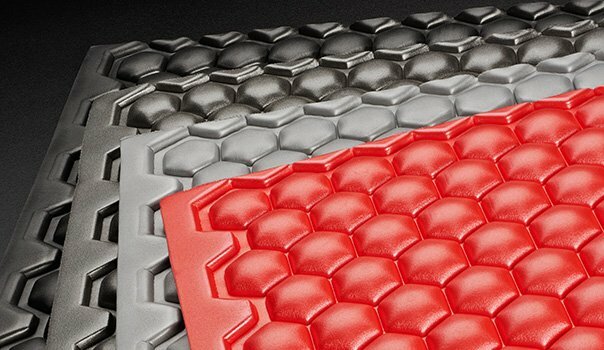 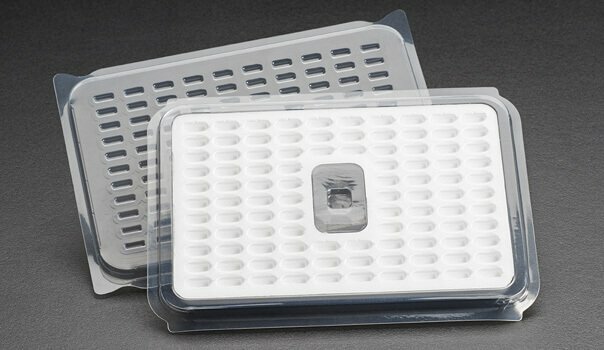 We have the ability to compression mold the closed-cell polyolefin family of foams, which includes cross-linked polyethylenes and ethyl vinyl acetate (EVA) foams, as well as open-cell polyurethane foams. 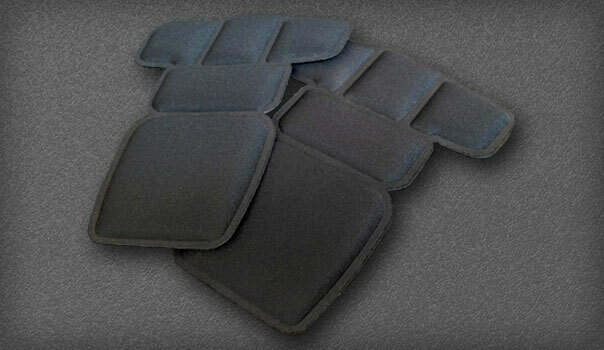 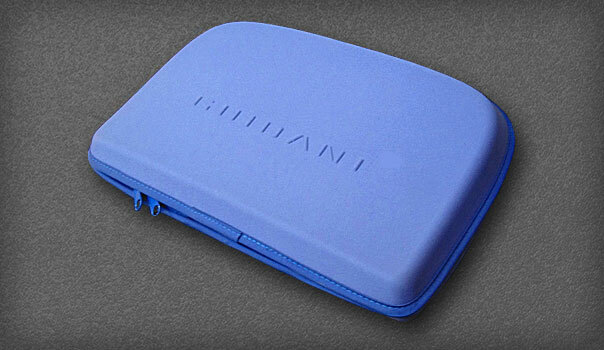 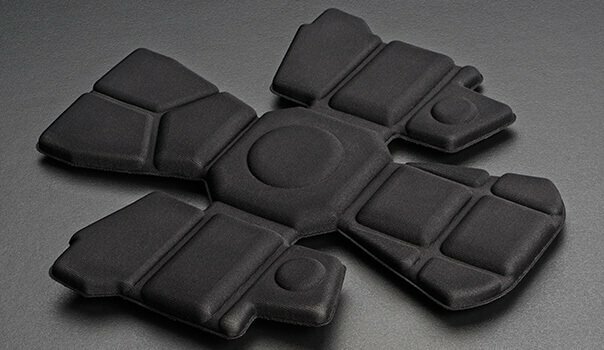 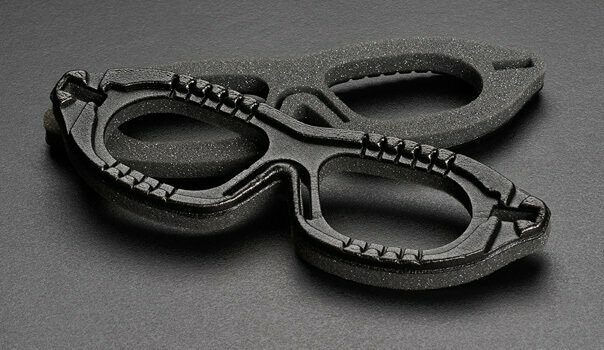 We can also mold an extensive range of foam composites. 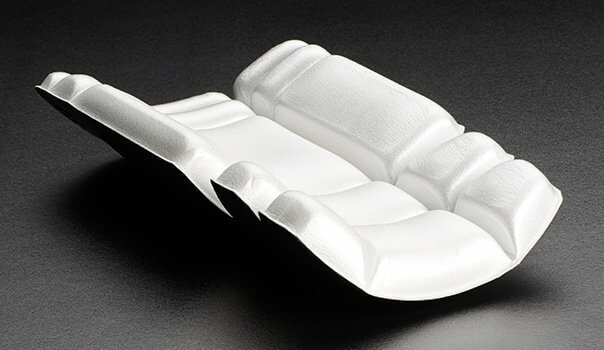 Using our various lamination processes to combine materials, we can then compression mold open and closed-cell foam composites. 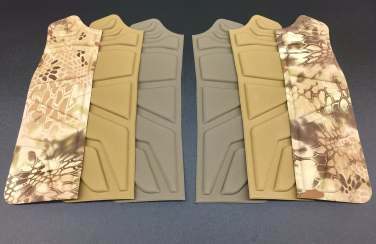 These custom composites can incorporate different types of foams or dual densities of foams, knit and woven fabrics, polyolefin films, pressure-sensitive adhesives, medical grade coatings and many other materials. 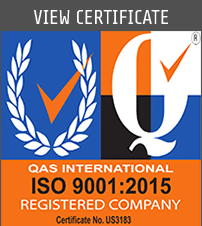 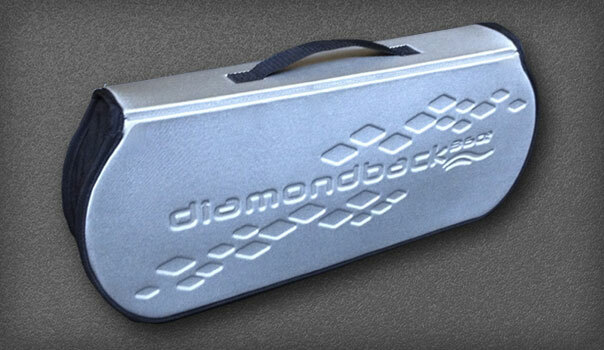 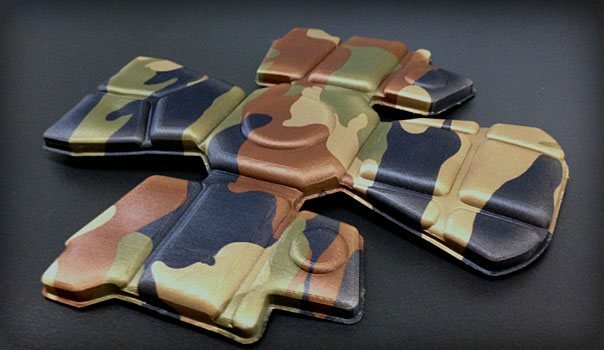 We are also willing to experiment with the lamination and molding of unique materials that our customers provide. 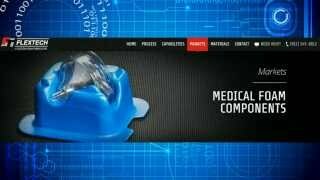 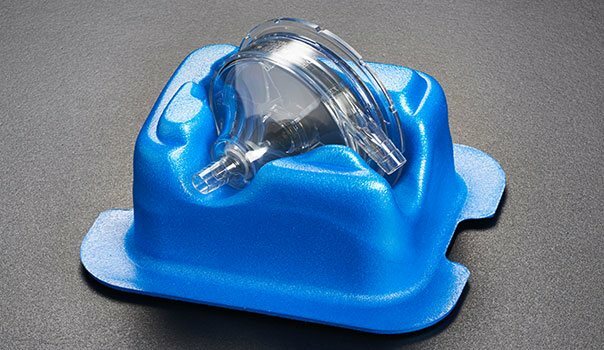 Flextech utilizes our compression molding processes to manufacture parts for medical, industrial and personal protection markets. 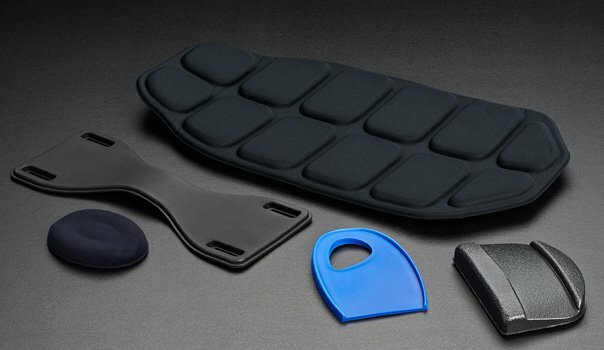 For the medical market, we make pads for orthopedic supports and braces, orthotics, patient positioning parts and medical device packaging. 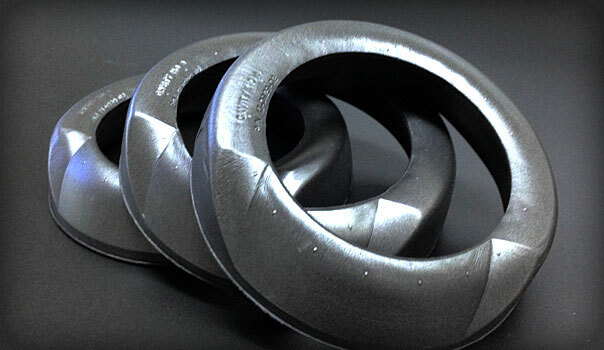 For industrial markets we mold thermal insulation parts for refrigeration applications, three-dimensional gaskets and seals and case inserts, to name just a few. 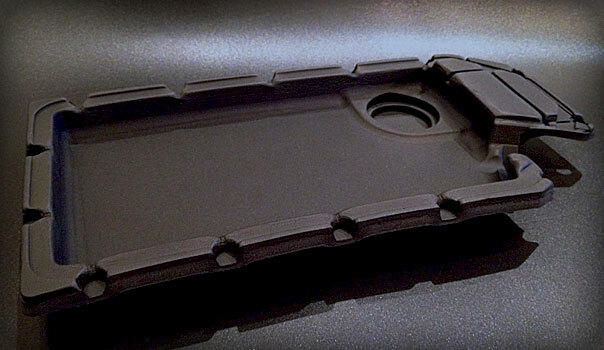 We also produce a wide variety of molded parts for the broad personal protection market. 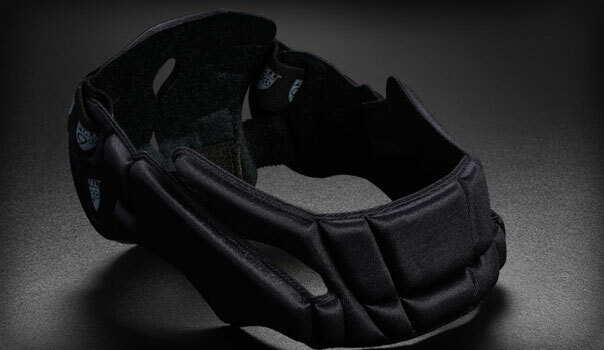 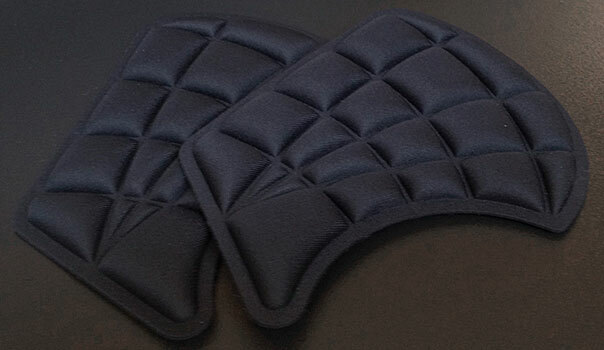 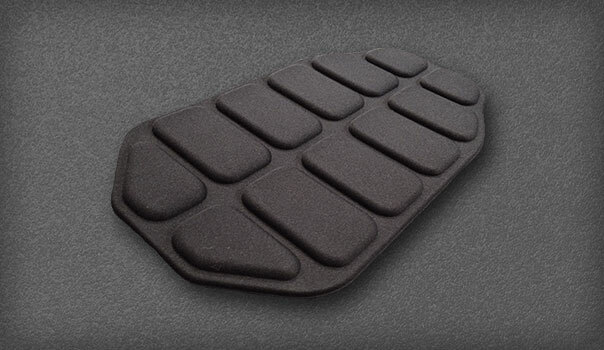 We manufacture helmet liner pads, parts for military tactical gear, backpacks, occupational safety padding components and many other padding parts for protective recreational products. 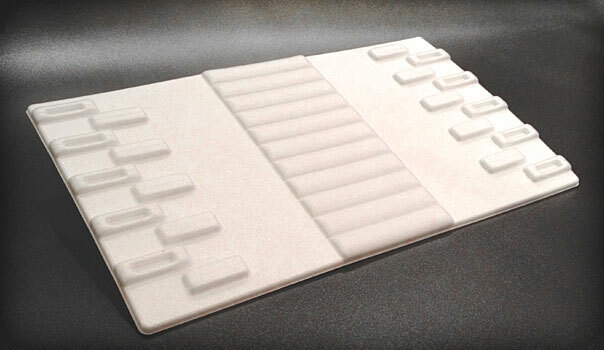 We look forward to an opportunity to work with you on the development of your compression molded foam project.